I am sorry things have turned out this way and you have rejected your chance to join the Illuminati. Be warned, we will hunt you down because our reputation is at stake and also a few of us really enjoy hunting. There is still time to stop this and I am begging you to turn yourself in before anybody else called Barry gets hurt. 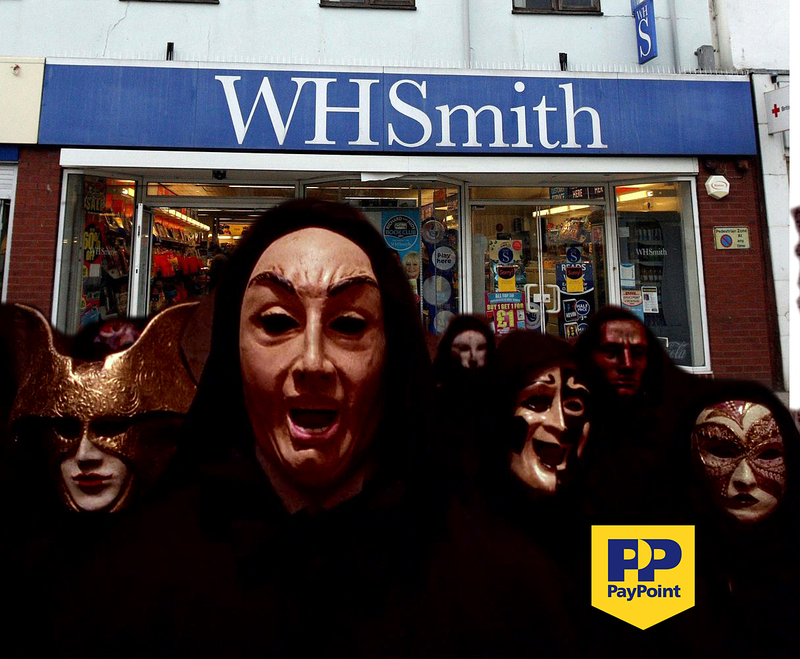 You can surrender at any branch of WHSmith’s or any outlet displaying the PayPoint sign. The Illuminati - High Street Operations Division. Closed Christmas Day and Boxing Day. as a child I was small and weak compared to other children in my local area and always I would get beaten. When I was fifteen I joined the local boxing club because I was so sick of be beatings I received. That was 2 years ago. From the age of fifteen to seventeen I became bigger and stronger but my temper increased a thousand times and I would just go around beating people for fun and taking their money. Then one day I was so out of control I beat the local policeman badly .I was arrested and had to be restrained in a straitjacket and taken to the local nut house for evaluation. After many test the doctors realised that I had high level of steroids in my system and it turned out later that my trainer had been giving me in a special drink loaded with steroids. That was 4 weeks ago. Once again I feel weak like the fifteen year old child I was, so am begging you Barry for two hundred pounds so I can get loaded on the roids and feel like a wild animal pulling the birds and beating the local sheep up.